Lake Turkana (/tɜːrˈkɑːnə/ or /tɜːrˈkænə/), formerly known as Lake Rudolf, is a lake in the Kenyan Rift Valley, in northern Kenya, with its far northern end crossing into Ethiopia.It is the world's largest permanent desert lake and the world's largest alkaline lake. 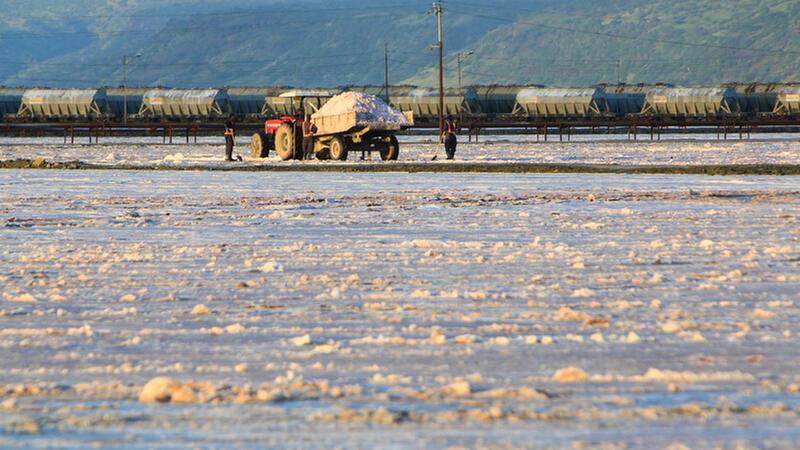 By volume it is the world's fourth-largest salt lake after the Caspian Sea, Issyk-Kul, and Lake Van (passing the shrinking South Aral Sea), and among all lakes it ranks 24th. Lake Turkana is now threatened by the construction of Gilgel Gibe III Dam in Ethiopia due to the damming of the Omo river which supplies most of the lake's water.